Members of a special community, where they can meet new people and share the knowledge they gain. Scuba diving will reveal new sites and new experiences, an up-close and personal encounter with marine life. 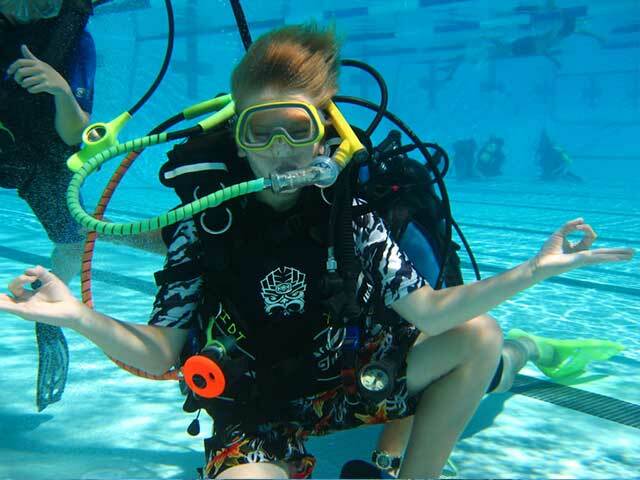 Scuba doesn’t end with entry-level certification. As you gain confidence, you will be able to take more advanced PADI courses that enables you to explore new environments. If you don’t have the time for a full training, but would like to experience the ease and thrill of diving, join us for our half or full day program. Our instructors will teach you basic theory and familiarize you with the equipment before accompanying you an a beautiful, controlled dive limited depth. 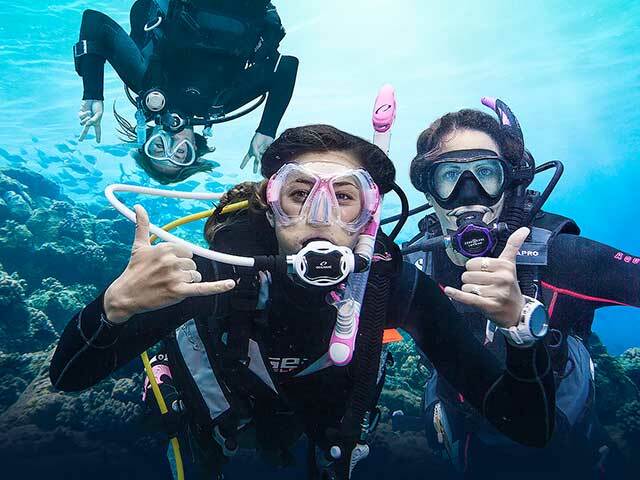 The new 2 day PADI Scuba Diver rating is a pre-entry level certification that allows you to dive to a maximum depth of 12 meters / 40 feet under the direct supervision of a dive Professional. The Open Water Diver Course is for the beginner or uncertified diver and will give you all the required knowledge and skills necessary to make your diving safe and fun. 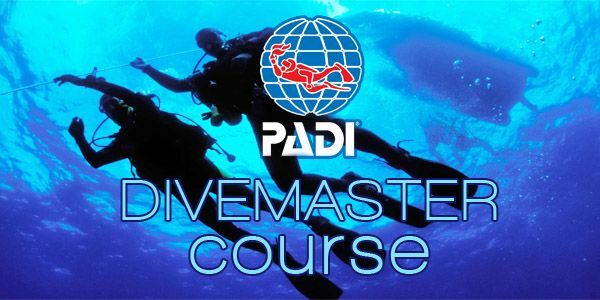 The first 1 – 2 days are devoted to diving theory and practice, with 5 academic modules, 4 short quizzes, and final exam and 5 shallow, confined water training sessions. 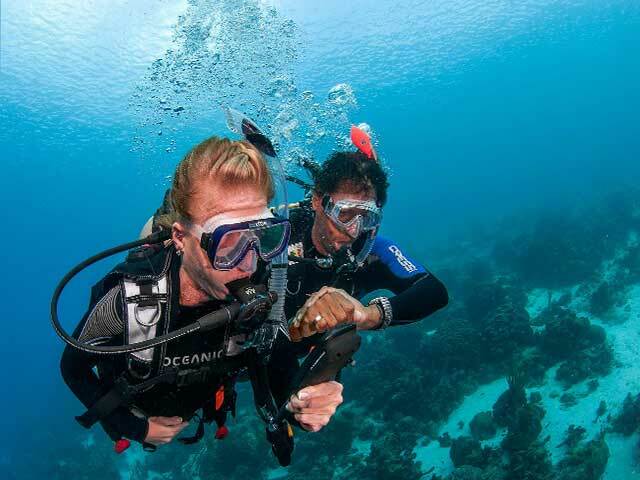 The remaining 2 days conclude with 4 open water training dives under the supervision of our instructor, while allowing you to enjoy the tropical reefs of the Andaman Sea. 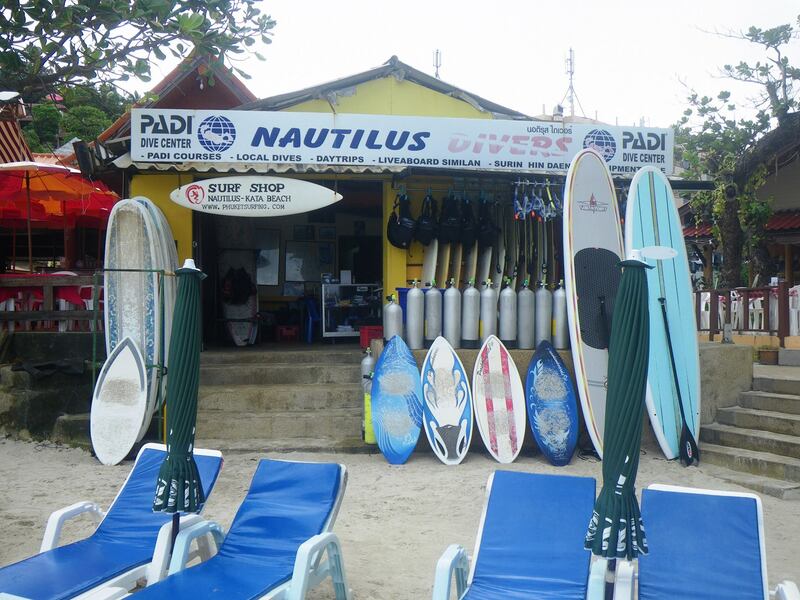 Here you have the chance to expand and continue your diving knowledge and experience in the care of a PADI Instructor. You will complete 2 “core” dives – underwater navigation and deep diving – after receiving academic training in these areas. You will also select and complete 3 “elective” dives in areas such as multilevel diving, night diving, drift diving, photography, underwater naturalist, boat diving and search and recovery. 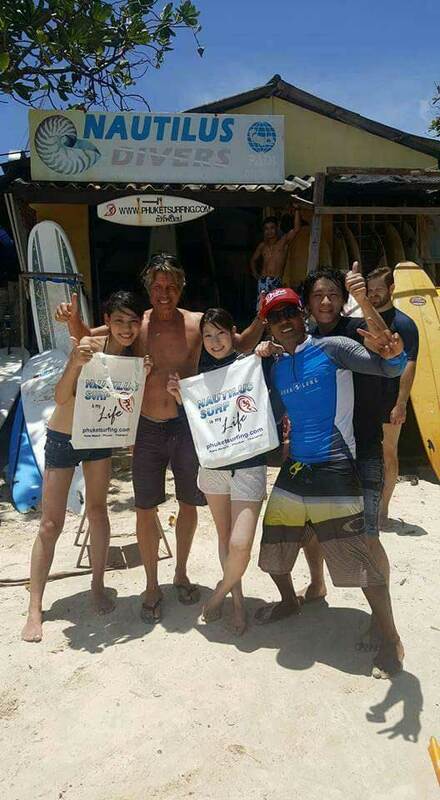 The Advanced Open Water Diver Course can be combined with beach dives or daytrips. You choose what option interests you the most. If you have any difficulty deciding, your instructor will be pleased to help you choose the speciality training that is right for you. The PADI Medic First Aid – a basic course in cardiopulmonary resuscitation and emergency care – teaches you simple, logical steps that you can take to assist somebody who needs help. 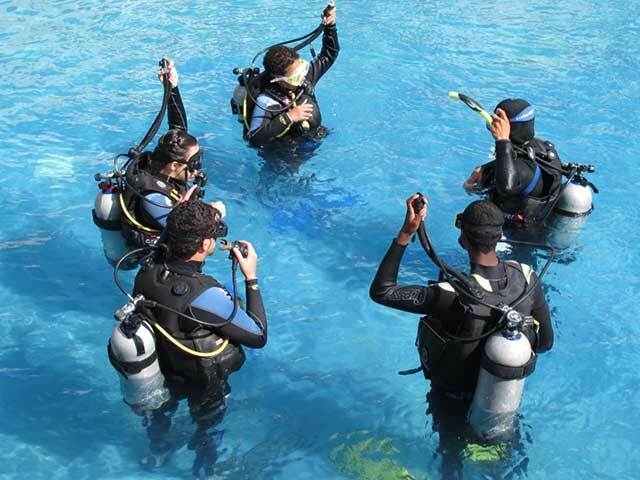 With practical application and hands on experience this course becomes beneficial for both diver and non-diver. 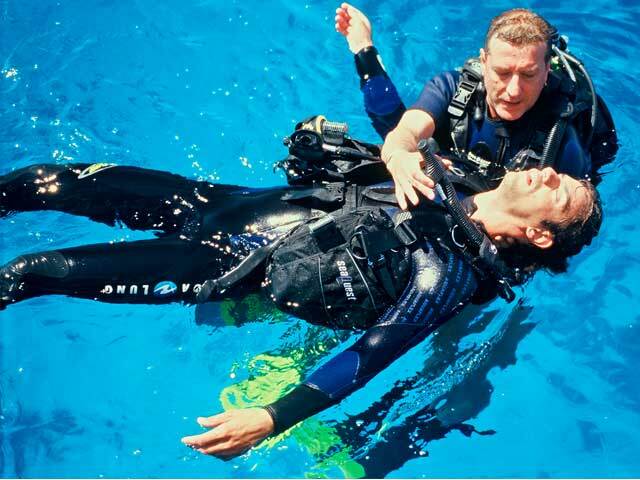 The PADI Medic First Aid course meets the certification requirements of several PADI Courses. You’ll find the course enjoyable and highly interesting, although the nature and context in which such training may be used is quite serious. The primary objective of this course is to prevent the need for use of rescue skills. A good diver does not only salve problems, he prevents them in the first place!